Comparative psychologists have been studying the facial expressions of primates like orangutans and gorillas for years. But nobody had thought to look at creatures like sun bears, who live mostly solitary lives. Comparative psychologists have been studying the facial expressions of primates like orangutans and gorillas for years. They have evolved in complex societies and thus need to be able to convey their joy, anger and other emotions to their companions. But nobody had thought to look at creatures like sun bears, who live mostly solitary lives. Marina Davila-Ross, a primatologist at the University of Portsmouth in England, and her colleagues learned that a handful of the Southeast Asian bears, which primarily live alone in the wild, were in a rehabilitation centre near the orangutan centre in Malaysia where Davila-Ross was doing research. 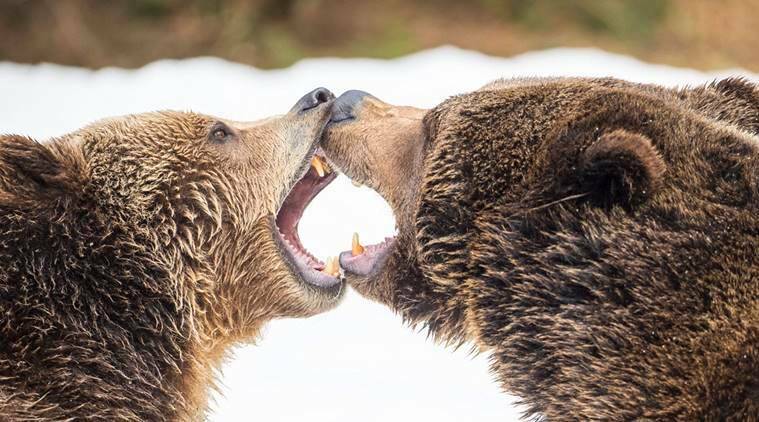 Curious about whether facial communication was more common in the animal kingdom that people thought, they deployed cameras to capture hours of footage of the bears interacting with each other. In a study published Thursday in Scientific Reports, they say that sun bears do use facial expressions to communicate, suggesting that the capacity to do so may be widespread and that social creatures do not have a monopoly on expressing themselves this way. Sun bears are exceedingly solitary. A female’s one or two cubs will live with her for about two years, and then set off for lives on their own. Adults seem to rarely meet, except for mating. At the centre, bears that cannot be released back into the wild live in enclosures in groups of five or six. For the bears, it was an unnatural setup — but it was perfect for the scientists. “It’s not just an emotional outburst,” said Davila-Ross, meaning that the bears were not just showing pleasure generally. They appear to be looking to communicate with each other. The researchers hope that the study of other solitary mammals, like leopards, living together in zoos and rehabilitation centres will reveal the true breadth of this kind of behaviour. Davila-Ross and her colleagues are now using their video footage to learn about the bears as individuals and to what extent they each have their own way of behaving. Understanding how sun bears behave may help determine which are good candidates to be returned to the wild, she said. Outside the walls of the centre, sun bears’ numbers are dwindling. Their home forests are being destroyed by human encroachment, and they are exploited for traditional Chinese medicine. They are listed as “vulnerable,” even as scientists work to learn more about the bears’ inner lives.